Lost River RV LLC is family-owned and operated right here in Baytown, TX. Since our park opened in 2006, we’ve treated every customer like they were a part of our family. 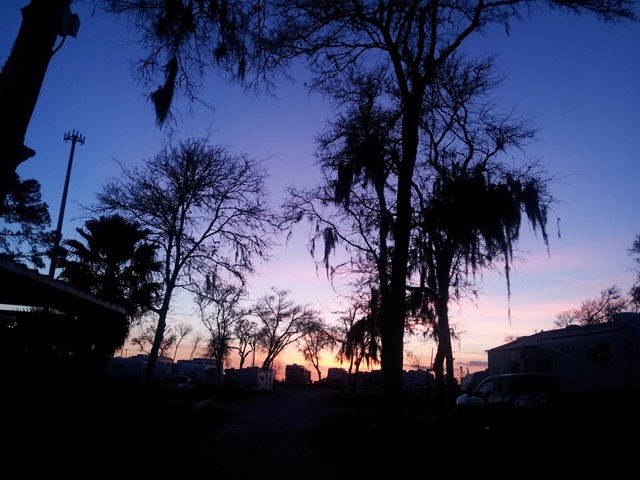 Other campgrounds offer similar services, but our services come with a personal touch and on-site resident management. In 2015, we added a nature trail to the river park and 18 new sites. We recently developed 5 acres of the 8 acre tract of land adjoining the original park, named it South Park and constructed 53 new sites. There are 11 riverfront sites, 41 jumbo back in sites and one large overnight site in the new development. All of the back-in sites are 30' wide, minimum 45' long and have concrete pads, paved parking and 35' wide concrete roads. The addition also added 500 ft. of riverfront park making up over 1000' for your enjoyment. We now have a total of 153 RV sites available along with 47 self storage buildings ranging in size from 10' X 10' to 15' X 45'. Completed Feb. 3rd and now open for business on 1 of the 3 remaining acres is The Crawfish Hideaway serving boiled crawfish, snow crabs and shrimp. Come On Down! Take Exit 803, turn North and enter the park on your right.